Post-doctoral scholars Dr Wajid Aziz Loun, Dr Muhammad Imran Yousuf and Dr Qazi Abdul Rehman Abid have successfully completed their studies from the University of Leicester, UK; University of Dundee, UK and University of Heidelberg, Germany, respectively. 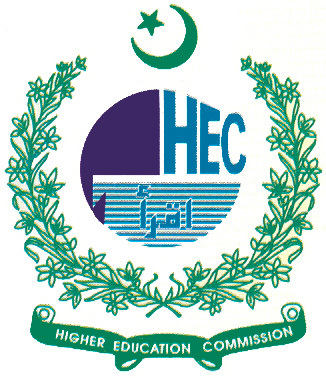 The Higher Education Commission has assisted their postdoctoral studies. The core expertise of Dr Wajid Aziz Loun, Assistant Professor, Azad Jammu and Kashmir University, Muzaffarabad is in Biomedical Information Systems and his focused area of research is Biomedical Signal Processing. He worked under the supervision of Dr Fernando S Schlindwein. His post-doctoral research was an extension of his PhD work, where he had applied HRV analysis techniques to investigate the risk of coronary heart disease in growth restricted children and asphyxia monitoring. During his research, he worked as a team member of the Bioengineering Research Group and applied HRV analysis techniques to clinical data obtained from 9 to 10 years old growth restricted children. Dr Muhammad Imran Yousuf is working as Assistant Professor at Arid Agriculture University, Rawalpindi. His area of study was Teacher Education and the focus of his project was to seek the peace perceptions of prospective teachers in UK and Pakistan. He worked under the supervision of Prof Dr Brian Hudson, Chair of Education and Associate Dean (Research), and Dr Ian Barron at School of Education, Social Work and Community Development at University of Dundee. Dr Yousuf took full advantage of the opportunities to engage with the wider research community in UK. He attended the Islamic Studies Network Regional Workshop about the current picture and future possibilities of Teaching Islamic Studies in Scotland organized by the Higher Education Academy at University of Edinburgh, UK. Dr Qazi Abdul Rehman Abid, Associate Professor, Department of Urdu, Bahauddin Zakariya University, Multan has also returned to Pakistan after completing his research on “Post-colonial Study of Early Urdu Criticism”. The topic is new to the world of intellectual discourse. Franz Fanon and Edward Said are considered the pioneers in this field. In the framework of post-colonial discourse, Dr. Abid analyzed early Urdu criticism. Excellent post. I very much enjoyed it. I am very happy to read this article and I think it is must qualification that a scholar should have to possess. So I have felt this article very much worthy and I am going to share this article to my friends. Thank you!